A dark milk chocolate bar, crunchy with our own granola made from rolled oats, forest honey, coconut oil and raisins – minimum 120g. 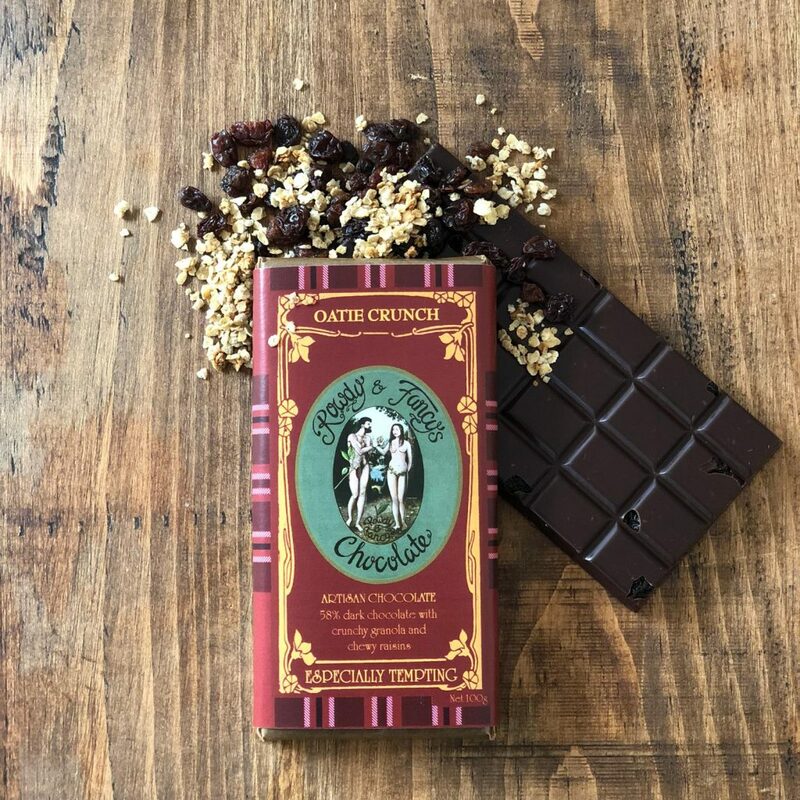 A dark-milk chocolate bar crisp and crunchy with our own granola made from rolled oats, honey, coconut oil and raisins. Ingredients: Cocoa mass, sugar, cocoa butter, granola (rolled oats, honey, coconut oil) raisins, vanilla powder. Allergy Advice : For allergens, see ingredients in bold. Oats rolled in wheatflour.